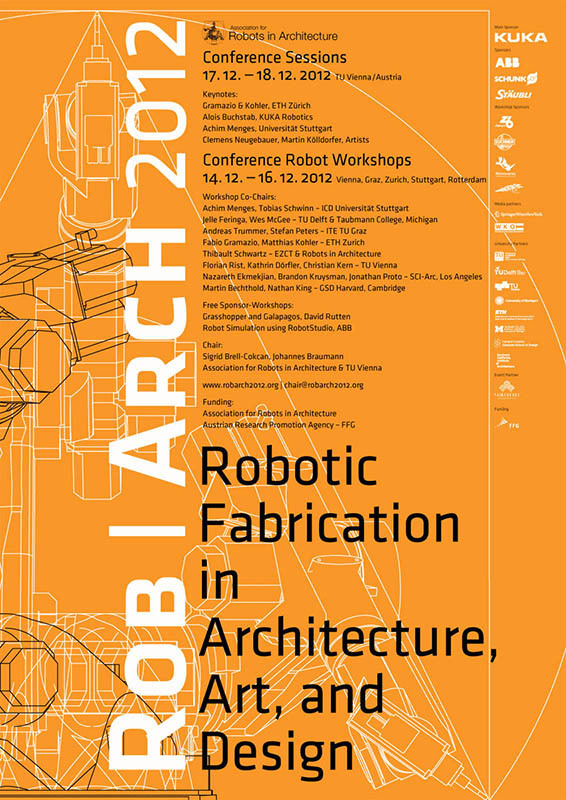 In December 2012, I participated to the first edition of the RobArch symposium in Wien, organized by the Association for Robots in Architecture. This participation was divided into two events: workshops with robots, and a series of lectures. During my workshop, entitled “Man/Machine Cohabitation”, the participants were introduced to robotics using a little ABB IRB120. They also learned the basics of HAL 004, to allow them to freely compose toolpaths making use of magnetic parts, video (Kinect & webcams), and remote interfaces (HAL for TouchOSC).